Carsten Höller: Decision is a distinctive double publication accompanying the acclaimed Belgian artist’s exhibition of the same name at Hayward Gallery. 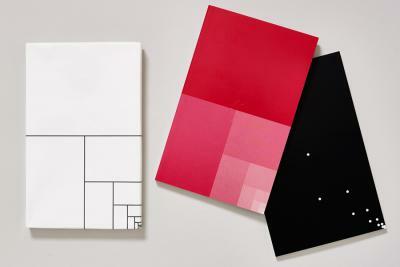 Offering an invigorating take on the traditional exhibition catalogue, the book comprises two volumes. The first presents a collection of new short stories responding to the theme of decision-making, by six distinguished writers including: Naomi Alderman, Jenni Fagan, Jonathan Lethem, Deborah Levy, Helen Oyeyemi and Ali Smith. The second volume offers a photographic interpretation of the multiple ways of experiencing Höller’s immersive exhibition. It also includes an interview with the artist by Hayward Gallery Director Ralph Rugoff, the curator of the show. Beautifully illustrated and packaged, Carsten Höller: Decision offers a stimulating visual and literary experience for anyone interested in art, fiction or human nature.